Eating with a flourish has never been easier with this handmade bowl. Perfect for a pre-dinner salad or soup course or finishing up your meal with desert. Each bowl is thrown on the wheel, decorated with underglazes, and then glazed with a food-safe clear glaze. 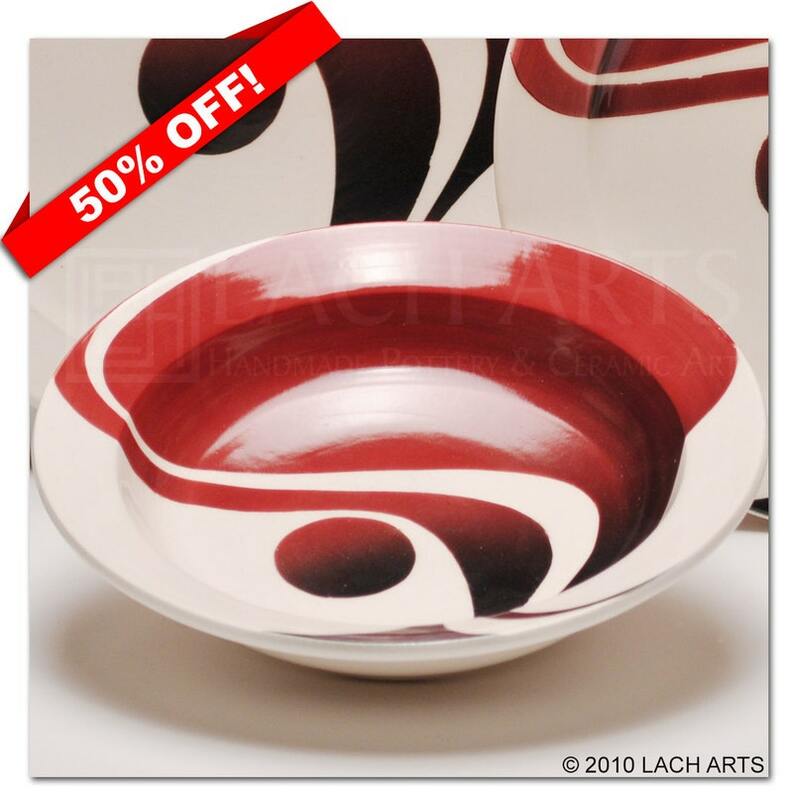 Made from earthenware and fired to 1990ºF, this beautiful bowl is safe for the dishwasher and microwave. Each bowl averages a 7" diameter.